I think that verse says it all. We do not know what will happen tomorrow - or even an hour from now. We are here for a short time... Life. Is. Short. Unfortunately, its too easy to get caught up in day to day life and in our routines (I am extremely guilty of this) and forget about what - or who - is important. I had a flashback this morning as to where I was this time last year. I was living in Pittsburgh and around those parts, Memorial Day weekend signifies the official start of Summer. 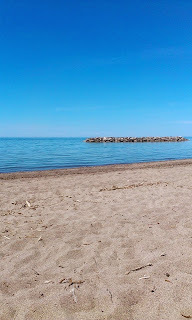 My partner and I had made the spontaneous decision to drive to Lake Erie (along with about 10,000 other people). 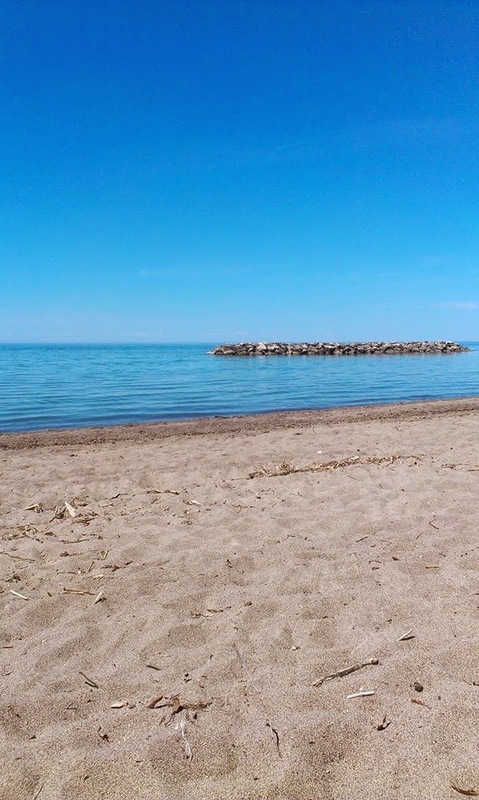 If you have never been there, for a Florida girl living in the midwest, Lake Erie was about the closest thing to a beach I had seen in a long time. It was BEAUTIFUL, calming and relaxing. We sat down on a blanket in the sand and just took in the sights and sounds -- the water was much too cold to even think about swimming. While we drifted away, we decided... "Hey! Its only a couple of hours to Niagara Falls... lets go!" I have always wanted to see Niagara Falls at night -- they light up the falls with colored lights and I had heard that its a spectacular sight. Couple that with a fireworks show at the falls, and I was all in. Now, for those of you who do not know me, I could never be found guilty of being spontaneous. Yet, this day just seemed different. It felt good to just live in the moment. So much so that we dressed for the beach and ended up in Niagara Falls at night -- FREEZING, walking among those wearing coats, hats, etc. The point of me sharing this story is that I realized this morning that at that time, I was living with such a carefree spirit - in the moment. We didn't have a plan. We didn't know what tomorrow would bring - that life would bring us to Florida a month later, that we would lose my dad, that our life as we knew it would change. We were focused on the present. On getting lost in each other's company and letting life just happen.